Built in 1935-36 for park administration purposes, the building was the first representation of the federal government in the national parks. Beckett was an Ontario architect with a practice designing large Tudor-style houses in Detroit and surrounding areas. 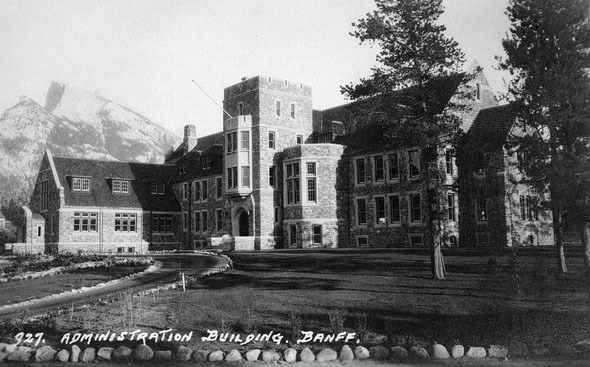 During the Depression, he worked as Dominion Government Architect for the National Park site at Banff, where his interest in landscape architecture was displayed at the Cascades of Time Garden, as well as in designs for other park structures including the Administration Building and the entrance gates to the park.